Leaving tonight for my last concert of the year and my first time in Cork, Ireland! The concert is on Saturday 2nd November at Triskel Christchurch, all details here. On that occasion I answered some questions from Irish webzine We are noise, read the interview here. I had a lovely time playing four shows in France a couple of weeks ago, and here’s a very detailed review (in French) of the show in Rennes with some nice photos, and as detailed live reviews are a rare thing I thought I’d share it with you! Merci à toutes celles et tous ceux qui se sont déplacés pour ces concerts ! :-) Et honte à moi et toutes mes excuses pour m’être trompée sur la date du concert de Poitiers, qui était le 12 octobre et non pas le 14 comme indiqué sur mon site… J’espère que personne ne s’est retrouvé devant des portes fermées ! Finally, for those of you who missed my interview on the Soundwave show, you can listen to it online here. 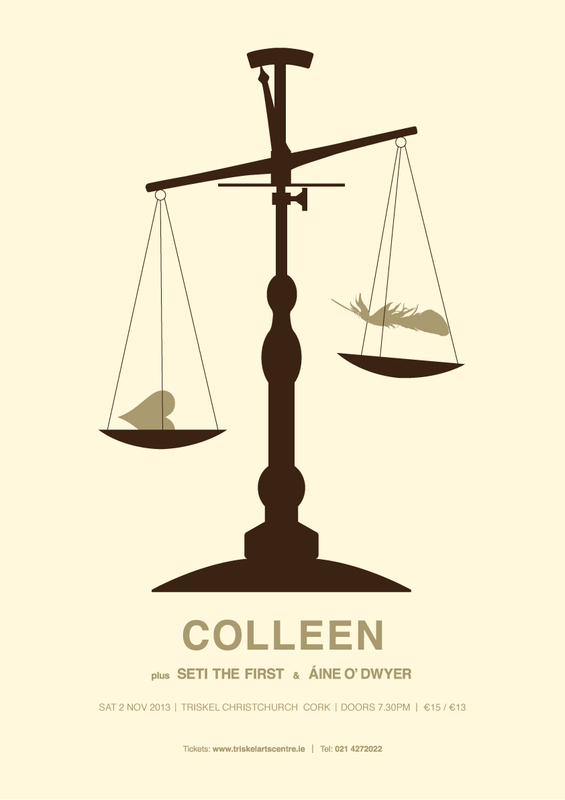 You are currently viewing the archives for October, 2013 at colleen.